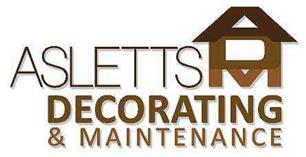 Asletts Ltd - Painter/Decorator, Plasterer based in St. Leonards-on-Sea, East Sussex. Hello, my name is Linden Aslett and I am the Company Director of Asletts Limited. Asletts Ltd, are a friendly, reliable painting, decorating and building maintenance team that are here to offer you an affordable solution to all your property maintenance, painting and decorating needs. Established in 1997, we have built ourselves up through reputation to be the number one choice for all your maintenance and decorating needs throughout Hastings and Sussex. We are based in St Leonards and we work throughout Sussex providing customers with a professional and experienced service by a team of friendly and efficient painters, maintenance operatives, carpenter, plasterers and decorators. We are committed to delivering excellent customer service and work hard to ensure customers are pleased with results obtained. The key and art to a high level of workmanship is preparation. This is so important to the end result and therefore we always prep, sand, rub down and fill to ensure we provide a superior result. A dust sheet is always used in your property, leaving your home clean and fresh. We also use sanding equipment on a dust extraction system to ensure minimal exposure into the air. We carry out domestic and commercial work (offices, schools, pubs, nursing homes etc). No job is too big or too small, therefore please do not hesitate to make contact if you have any queries or wish for us to quote for works. Hastings, Bexhill, Battle, Rye, Westfield, Guestling, Northiam, Eastbourne and surrounding areas.